Available to AGA employees, apprentices, trainees, students, parents (for those under 18), host employers, clients, contractors and other stakeholders. 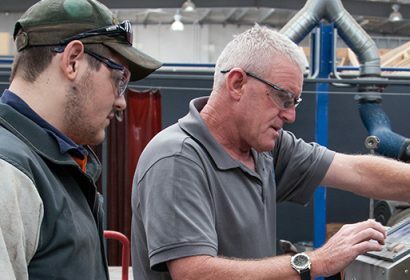 The Grievance/Complaints Procedure complies with the requirements of Standard 1.5 of the Australian Quality Training Framework for Registered Training Organisations. This form will be sent directly to Senior Executives who will investigate and respond accordingly, following robust and confidential processes. You may be contacted via the details provided in regards to the information submitted in this form. An investigator will be appointed to deal with the complaint and the investigation will seek to gather all relevant information. Once the investigation has been completed and relevant input received, all involved parties will have adequate opportunity to respond before a determination will be made and an appropriate course of action will be communicated to all concerned parties. Grievance to be acknowledged by AGA within 24 hours. Where the time to resolve the grievance/complaint takes more than 1 week, all parties will be notified of reason and estimated resolution timeline supplied. What is your other grievance/ complaint/ appeal regarding?